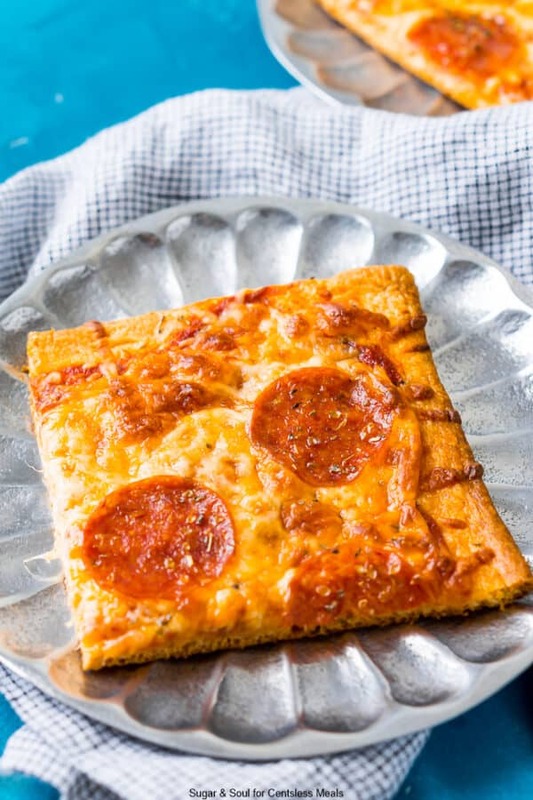 Crescent Roll Pizza is an easy and quick weeknight dinner option the whole family will love! 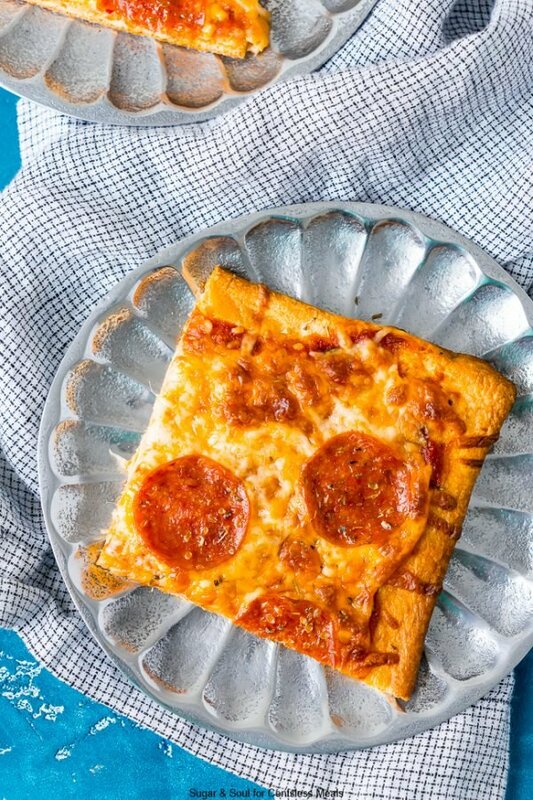 This Crescent Roll Pizza is perfect for those nights when you get home from work and you just need something quick to whip up for the family. 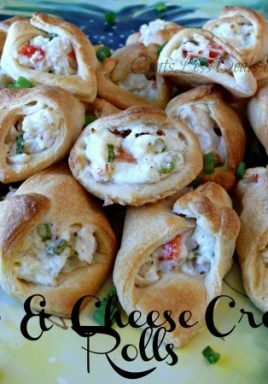 And if you’re a crescent roll lover to begin with then you’ll love this flaky and buttery pizza crust! 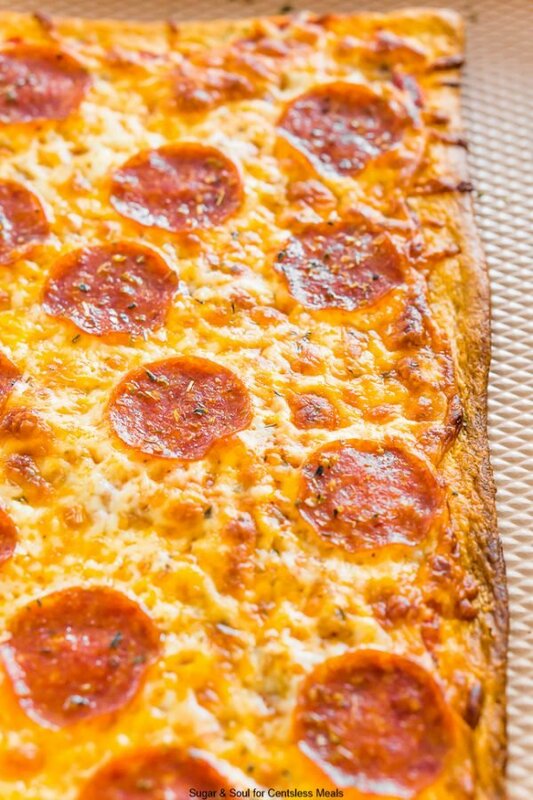 And once it’s topped with gooey cheese and spicy pepperoni, it’s irresistible! I think most of us will agree that pizza is one of the best things in the world, right alongside margaritas and mac and cheese. How long do you cook crescent roll pizza? If you want a perfectly cooked crescent dough sheet pizza then I recommend cooking for about 13 to 15 minutes. However, if you’re like my husband a prefer your crust a little crispy, I recommend 17-20 minutes. 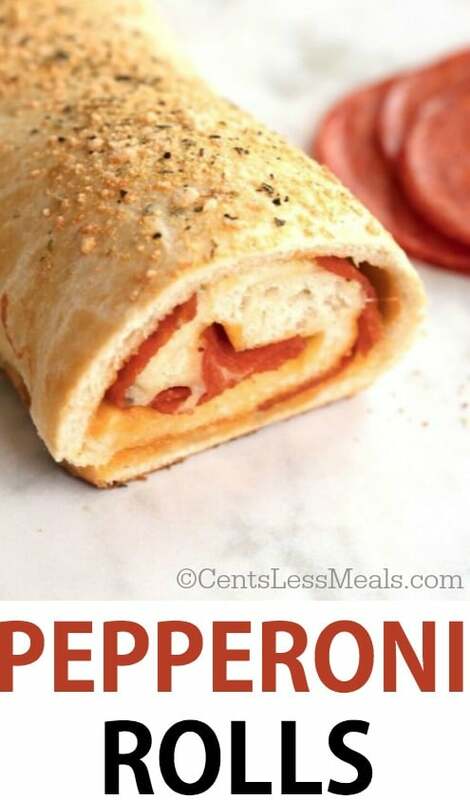 How Do You Make Crescent Roll Pizza? This recipe is about as simple as simple gets. Begin by preheating the oven according to the package directions (350 degrees F for non-stick pans and 375 degrees F for shiny). Either grease the pan with cooking spray or line it with parchment paper. Then roll out the crescent roll dough, you can either use the crescent roll sheets (what I prefer) or you can use regular crescent rolls but you’ll need to seal the perforated seams. 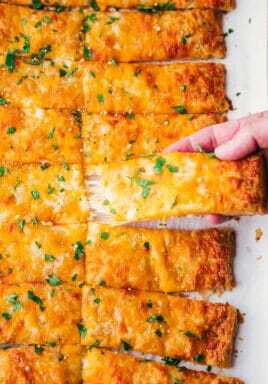 Melt butter in a small bowl and stir in the garlic powder, then use a basting brush to brush the butter over the entire crust. You’ll love the flavor this adds to the final pizza. 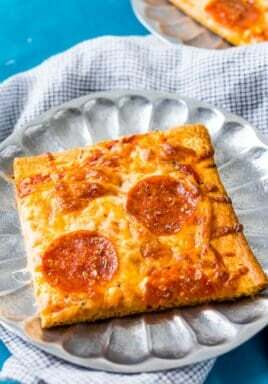 Add the sauce, cheese, and pepperoni to the pizza like you would any homemade pizza, leaving about an inch of untouched dough around the edge. Add a sprinkle of oregano to the top of the pizza before baking. Allow the pizza to rest on the pan for a couple of minutes before using a pizza cutter to cut the pizza. 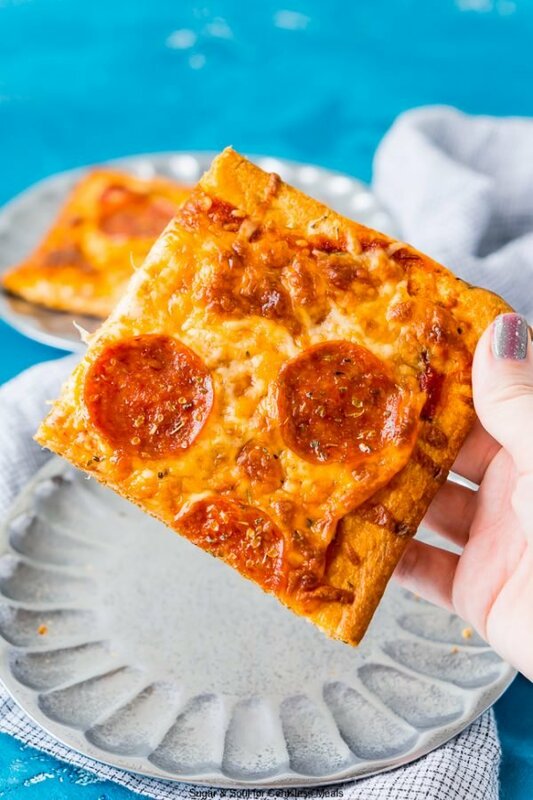 Seriously, everyone is going to love this cheesy crescent roll pizza. And if standard pepperoni pizza isn’t quite your thing, here are a few other topping ideas. Swap the classic pizza sauce for BBQ sauce and use shredded or diced chicken instead of pepperoni. Add bacon, ham, and ground beef or sausage to the already existing toppings. 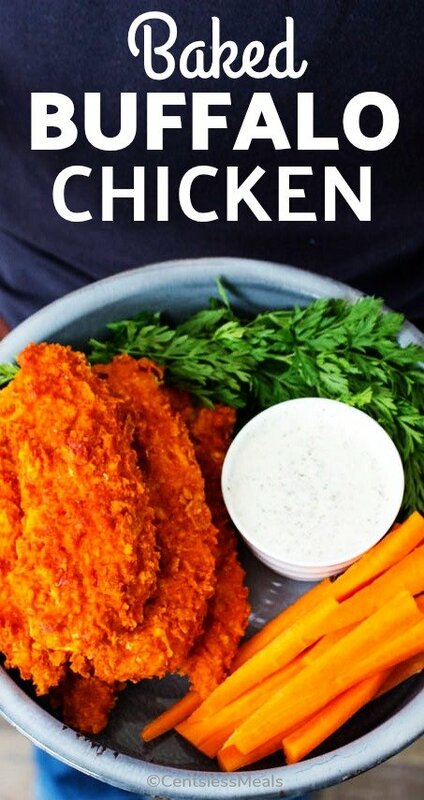 Use marinara sauce instead of classic pizza sauce and top with a blend of mozzarella and Parmesan cheeses and chopped up breaded chicken tenders. 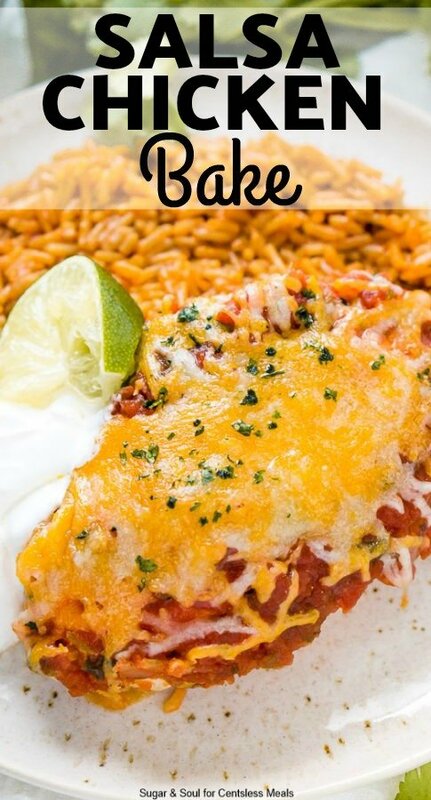 If you’re a big pizza lover, you’ll also enjoy these Pizza Enchiladas and Pizza Pockets. Preheat oven according to package direction based on the type of pan you are using. Roll out the dough and pinch together any seams that might exist. Combine the melted butter and the garlic powder together in a small bowl and use a basting brush to brush the butter over the entire crust. 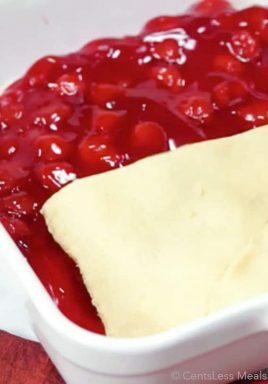 Use the back of a spoon to spread the sauce out on the dough, leaving a 1-inch border around the edge of the dough. Sprinkle the cheese evenly over the dough and top with pepperoni slices. Add the dried oregano. Baked for 13 to 15 minutes for a lightly golden crust or 17 to 20 minutes for a crispy crust. Let cool on the pan for a couple of minutes before slicing and serving.